Tourmaline stone are faceted into gemstones for jewelry, yet the red, green, blue, and particularly watermelon tourmaline, are the most important ones. 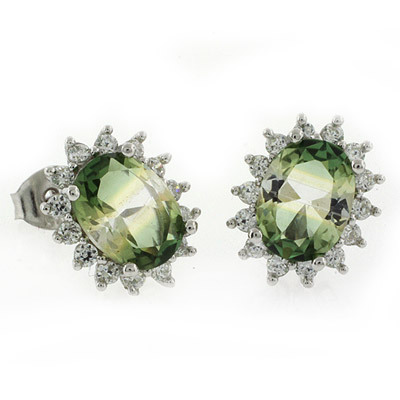 Tourmaline can be found in transparent precious stones, and these can deliver huge flawless and faultless gemstones. Tourmaline Jewelry is utilized more in pendant, bracelets, rings, and earrings. Lesser quality stones are cut into cabochons, and are likewise cleaned into globules and utilized as a part of bracelets and pieces of jewelry. Pink and green Tourmalines from specific regions contain modest, parallel incorporations, making them show a solid Cat's eye impact when seen with a light. Such stones are regularly cut as cabochons and called "Cat's Eye Tourmaline" . Some pink, green, and colorful Tourmalines are likewise cut into decorative figures and carvings.